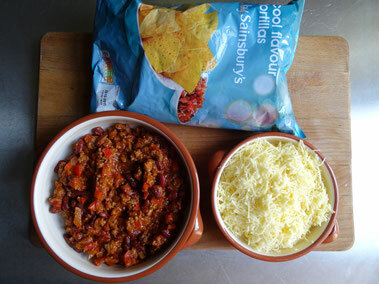 If you made Sarah's Chilli from our main meals section & happen to have any left over (or you cleverly made double!) 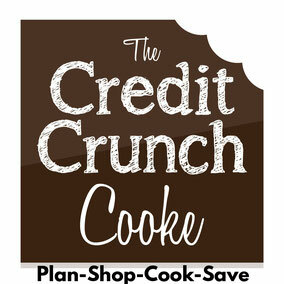 here’s a quick & easy idea for enjoying it all over again! 1 bag of tortilla chips, plain or flavoured if you fancy! 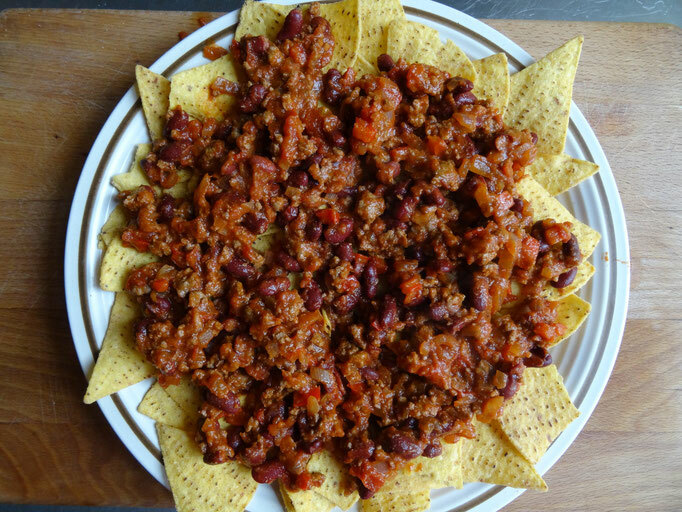 Warm the chilli through in a saucepan. 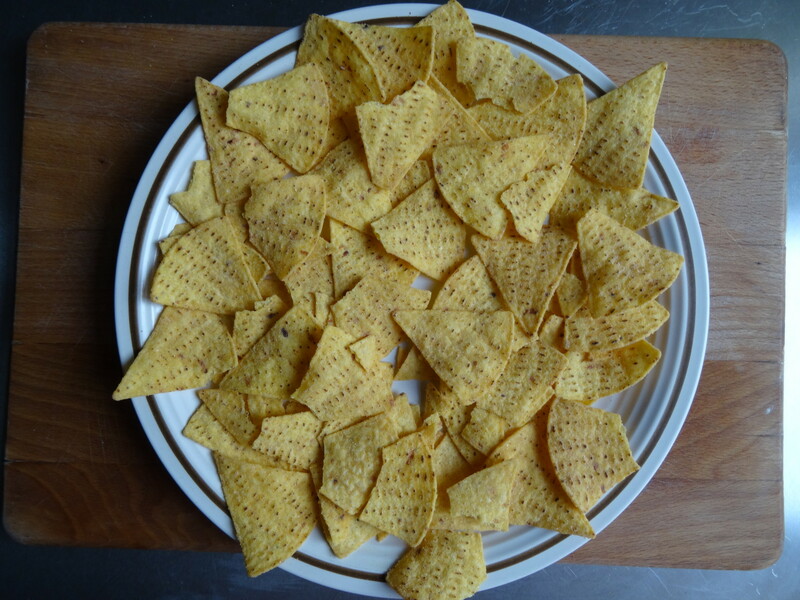 On a large serving plate (or a couple of smaller ones) lay out the tortilla chips in a fairly even layer. 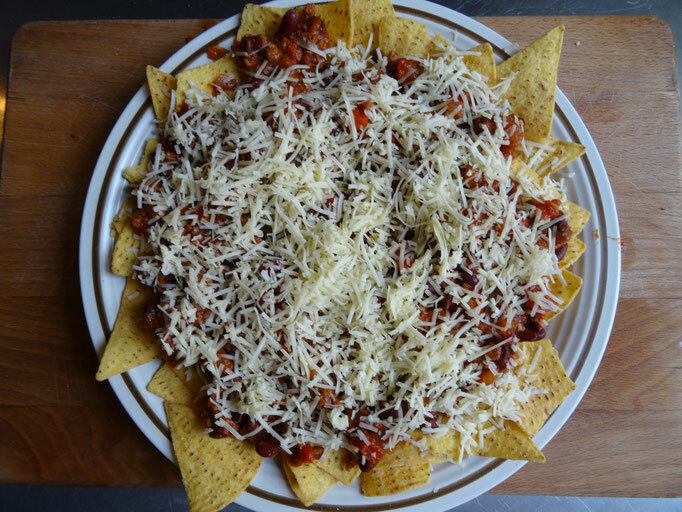 Spoon the chilli over the tortilla chips & scatter the cheese over the top. 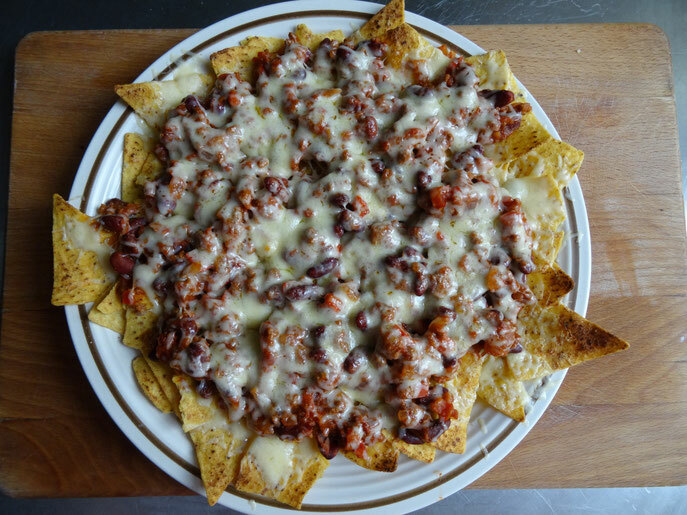 Place under the grill until the cheese is melting & bubbly. Serve & provide plenty of paper towels as it’s going to get messy! If you like dollop some sour cream on top!